Your child will have a blast at the All-Star Sports Camp and develop their athletic skills by learning and playing various sports and other fun activities! We promote teamwork and sportsmanship through healthy competition. Bowie HS Head Basketball Coach Celester Collier and his staff will develop your child's dribbling, passing, rebounding, and shooting skills. Each child receives ball and camp t-shirt. Bowie Head Football Coach Jeff Ables and Offensive Coordinator Ty Branyon develop QBs, WRs, RBs, and DBs with 7 on 7 drills and scrimmages. Hard work, respect, sportsmanship, and leadership are strongly emphasized by Coaches Nelson Mata and Abel Huerta. Footwork (balance, quickness, stregth) and Finishing (confidence, effort, skill) Camp with Ahmad Brooks and Frank Munoz. 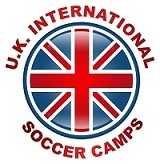 Challenger's soccer professionals bring a wealth of knowledge to the USA as they train kids all over the country, focusing on key techniques and technical components of soccer and futsal. Full and half day options. Coach Patrick Miller leads Central Texas' fastest growing youth soccer club. 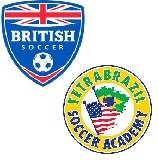 World Wide Soccer curriculum includes core technique development, small-sided games coaching, and week-long World Cup tournament. They develop the whole player, providing them tools to reach their goals on and off the field. Soccer Cubs: Ages 18 months to 6 years – $139 for 8 week session; one class/week and Cubs shirt for each child! 4v4 AISD Field starts at $75/hour. Wingstop 6v6 Field starts at $150/hour. Scholtzsky's 3v3 Field starts at $50/hour. County Line Realty Basketball court starts at $50/hour. Outdoor 4v4 Field starts at $75/hour. Corporate events, team practices, or just bring some friends indoors to have a private match! $8 per player ($5 with membership). All ages welcome. Please call ahead 280-2244. Both include Drink Tower, plates, napkins, utensils, and one hour on court/field. $50 Deposit;12 kid minimum. $25 charge for outside food/drinks (no charge for cake/cupcakes/fruit/veggies). All ages welcome. Pizza from Domino's. Individuals can register for a house team. including Men’s, Women’s, and Coed. Half-day and full-day options available. Designed to keep kids 5-13 years old active and entertained through the school break! Your child will have a blast and develop their athletic skills by playing soccer, basketball, ultimate frisbee, football, dodgeball, pickleball, kickball, and more! Cost is only $189 for half-day (8:30-12:30 or 12:30-4:30) or $289 for full-day (8:30-4:30) Monday through Friday. Each child receives kid-friendly coaching and instruction as well as a t-shirt and lunch Monday through Friday (lunches are from Chick-fil-A, CiCi's Pizza, Wing Stop, Scholtzsky's and Rudy's BBQ). Sibling discounts available. Ages 5-13. Register Here! Visit www.AllStarSportsCamp.org for camp pictures and testimonials! SoccerZone South Austin is the Official Soccer Facility for Austin Community College Intramural Soccer. The Fall 2018 season is right around the corner. HALO's leadershp program provides more than just after-school care inside SoccerZone South Austin's 35,000 square feet facility. Through a wide range of activities, their students learn practical skills in an environment that enables teamwork, opportunity and growth. Contact Ahmad Brooks at 512-470-9553. Call (512) 280-2244 to register your child for one of our age-specific soccer classes designed for kids from 18 months up to 7 years old. 8-week sessions are $139. Kids have a great time and develop their soccer skills with our trained, energetic instructors who love kids. SoccerZone South Austin is proud to be Texas' finest indoor soccer facility, providing affordable soccer opportunities for individual players and teams to compete in a temperature-controlled environment on a state-of-the-art field. Our upcoming youth season in January will feature players and teams from all over Central Texas! Games are typically played Saturdays and Sundays. Individual players can join our amazing La Academia development program run by the best coaches in Austin.